As we begin our recap of Star Wars Celebration Chicago 2019, we will start with the Star Wars: The Rise of Skywalker teaser trailer. Today on GeekFest Rants join Carlos and Steve as they go shot by shot into the Episode IX trailer. We'll see some returning characters, some new ones, and some amazing unexpected surprises. And this is just the beginning of our Celebration coverage. Have you ever watched a movie that left you with more questions than answers? Or you did not know if you liked it or not until you talked to some people about it? Or that it was so disturbing that you has to stop watching it? Well, welcome to art films. Today on GeekFest Rants, Carlos takes you through a basic tour of some of the most accessible art films out there. We begin with a review of Mandy and then spiral down to classics like Drive, Henry: Portrait of a Serial Killer, Bad Lieutenant, Blue Velvet and many more. Today on GeekFest Rants we return to our Happy Place... Star Wars toys. Join Carlos as we take a deep dive into Star Wars concept ship toys. We'll begin with Galoob's Series Alpha, then to Hasbro Solo additions, and to the Hot Wheels concept Cantwell collection. When it comes to three dimensional representations of small size concept ships, there are plenty out there to collect. 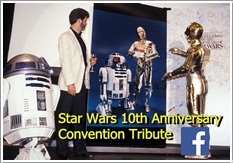 Then we jump to 1977, to the pre home video days of Star Wars with the Star Wars Movie Viewer. This is probably the earliest version of being able to watch 40 second clips of the movie at home for an affordable price. No Batteries Needed. You have good movies and bad movies. Usually the good movies are the ones you want to re-watch. But not always. 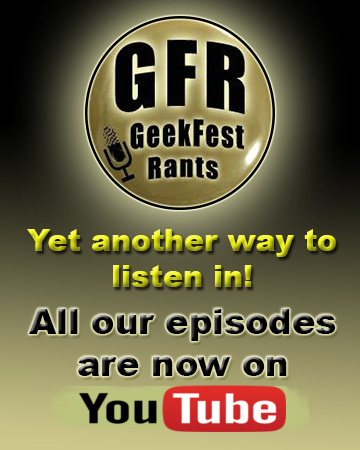 Today on GeekFest Rants join Carlos and Steve as they go down the list of some very good movies that for different reason, we may not want to see again. These are film like Schindler's List, The Shining, Glory, Oldboy, and many more. What is it about these good films that might prevent us, or you, from giving them a second viewing? "Just when I thought I was out, they pull me back in". A very ironic line from Godfather Part 3. 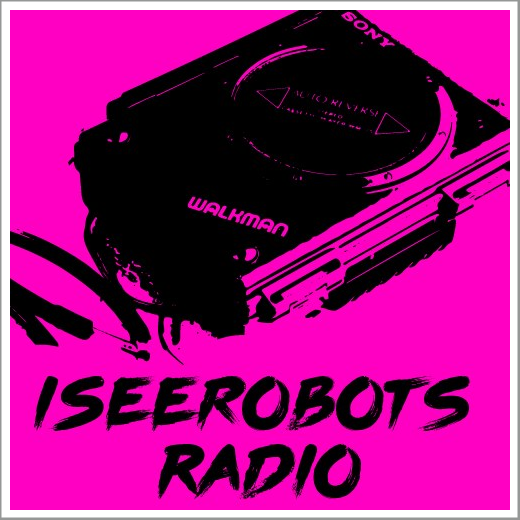 Today on GeekFest Rants, join Carlos as he takes an unexpected trip back into the Star Wars toxic fandom Rebel Force Radio Controversy from last year. It would seem that the last time we covered this news story it ruffled enough feathers to actually endanger our YouTube channel. As Celebration Chicago nears, someone is trying to get back into the good graces of Lucasfilm, by attempting to silence any critical reporting of their toxic fandom misadventures. It's that time of the year...New York Toy Fair 2019 time. The time we get to see all these new cool toys but cannot buy them just yet. This year we are going Retro in more ways than one. From Hasbro producing a Retro line of Kenner Star Wars figures, to new additions from Reaction, like They Live and Planet of the Apes. Plus. look out, The Warriors are coming. Then we dive into our poster of the month with the 1983, Brian DePalma-Al Pacino classic, Scarface. We'll look at the design of the poster plus we also examine the movie tie-in novel by Paul Monette. Prop collecting, an expensive hobby. Who can authenticate an item, who can you trust? Today on GeekFest Rants, Carlos takes a look at one particular Star Wars Lightsaber prop auction and all the controversy swirling around it. Then we jump to a documentary about triplets with a dark tragic twist. A true masterpiece of documentary film-making. Then we conclude with one of the most innovative episodes of Black Mirror, Bandersnatch. A groundbreaking, game changing, interactive addition to the Black Mirror universe...or is it multi-verse. Today on GeekFest Rants join Carlos and Steve as they explore their guilty pleasures... That is, film and TV guilty pleasures. These are the kind of films/tv shows that usually don't come up in conversation first, or you will not run out to buy a t-shirt with it's name on it. However, when it's playing on TV, you cannot help yourself to pay attention to it for the 5th, 6th, or 7th time. For every Star Wars there has to be a Dune and for every Dredd there has to be a Judge Dredd. Take that Mr, "I am the Law". Today on GeekFest Rants, for our poster of the month, we are focusing on the original Factors Darth Vader poster. This might be the first officially licenced Darth Vader poster ever. If you were a fan of Star Wars back in 1977, chances are you might have had this poster in your bedroom wall. Join Carlos as he looks at the history behind this iconic poster. From the design, the other ones available from that line, and the man behind the mask, Kermit Bryce Eller, who ended up touring the country as Darth Vader for special promotional events. Then we jump to the Star Trek Enterprise XCV-330. This is an amazing Eaglemoss miniature that depicts the legendary never before seen (in operation on TV or film) precursor to the more familiar Enterprise models. Yet, you might have seen a painting or sculpture of it on Star Trek the Motion Picture or Star Trek: Into Darkness.